I am trying to equip a Fighting Gem to my Lv. 1 Porygon-Z, whom I recently evolved twice (Eviolite included). I can equip it with any other items, but not a Fighting Gem. Is this a glitch, or was is supposed to be like that? - Why can't I hold one? You can't equip gems that do super effective damage against that pokemon. Gems can't be equipped onto certain pokémon with a weakness to the type that corresponds with the gem you're trying to equip. 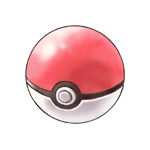 For example: Typhlosion can't hold a Water Gem; Milotic can't hold an Electric Gem, ETC. Dual type pokémon with a typing that is weak to the type of a gem, with the secondary typing being resistant to the gem type, can hold the gem in question. 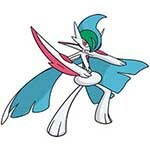 For example: Dialga can hold an Ice Gem. If you need further elaboration, just say so.